A Gogglebox season final was the standout performer on what was an otherwise routine Thursday. The show drew 724,000 viewers and topped the demos well in front of its competition, Paramedics on 573,000 then The Front Bar, Endeavour and 24 Hours in Police Custody. Earlier an extended Home and Away won its slot at 523,000 (from 7pm) just ahead of 7:30 on 519,000 and The Bachelorette on 512,000. RBT, Driving Test, Grand Designs Australia, Tony Robinson’s Hidden Britain by Drone followed. Seven network won Thursday with 29.3% then Nine 26.7%, 10 20.1%, ABC 16.2% and SBS 7.7%. Seven News was #1 for Seven with 867,000 / 830,000 then Home and Away (523,000), The Chase (485,000 / 301,000), The Front Bar (326,000) and movie: Shallow Hal (118,000). Nine News led for Nine at 790,000 / 773,000 then A Current Affair (677,000), Paramedics (573,000), RBT (493,000), Driving Test (461,000) and Chicago Med (260,000). Gogglebox (724,000) won its slot for TEN then The Bachelorette (512,000), The Project (417,000 / 243,000), 10 News First (328,000), Blind Date (252,000) and Pointless (200,000). ABC News (615,000), 7:30 (519,000), Grand Designs Australia (444,000), Endeavour (270,000) and Sammy J (214,000) comprised ABC’s night. On SBS it was Tony Robinson’s Hidden Britain by Drone (287,000), 24 Hours in Police Custody (161,000), SBS World News (120,000) and War & Peace (113,000). Another 7mate Die Hard movie topped multichannels at 229,000. OzTAM Overnights: Thursday 1 November 2018. Though we are in a rating period of the year, personally i’m struggling to find something to watch, except for between 8pm and 9pm on Wednesday nights with abc and on Tuesday nights on 7mate from 8.30 pm onwards. It feels like overall the free to air channels have given up wanting viewers through some of the year. With all the other means of watching television/content, they should be fighting for their survival/relevance. When there is nothing else (except War and Peace much later) it is comforting to know that you can always find an ep of Big Bang somewhere! Or Seinfeld! Or Everybody Loves Raymond! 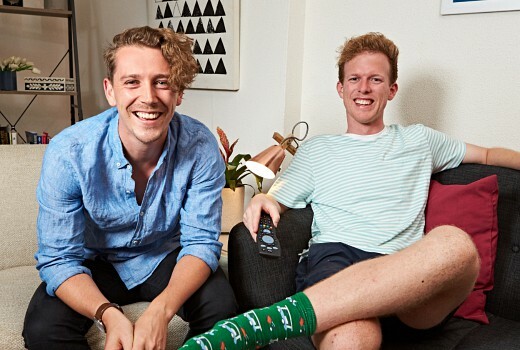 913,000 for Gogglebox including Foxtel numbers. Is there any reason the Ten logo hasn’t had the ‘HD’ next to it since the changes? Hi David, did 7 claim Home and Aways slot as a win? Maybe because of exact timings but I see 9 and ABC were just ahead for that 90 mins. A fairly neck and neck night across the timeslots though last night with the Demos being the real thing that separates the leaders. Except that on my Hiatus I am still here. Ratings wraps are always my take on the numbers. It’s increasingly hard to compare slots when so little is truly head to head but whether as 7:30-8 or as extended I am comfy H&A won. Was that Wayne & Tom’s last episode? I believe they have had a change of heart. We’ll know later. The Front Bar did well in Melbourne, but no where else. It was a similar pattern when they did Winter Olympic and Comm Games specials. Clearly, it’s not a show ready to go national.